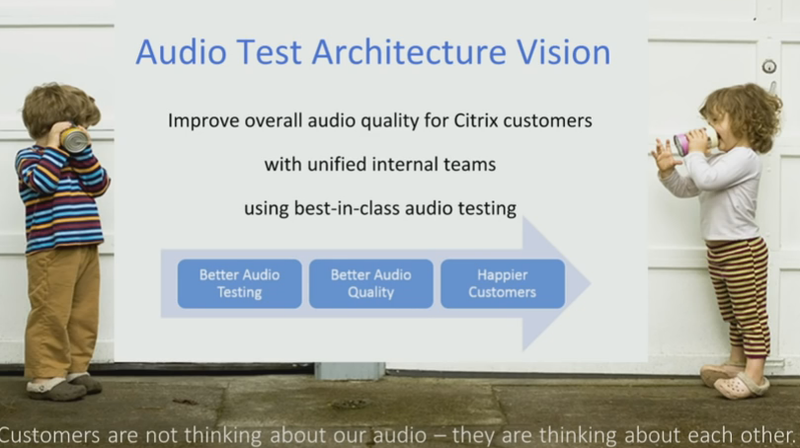 Audio Quality Tests and the current challenges, presenting Dan Hislop and Alexander Brauckmann from Citrix. 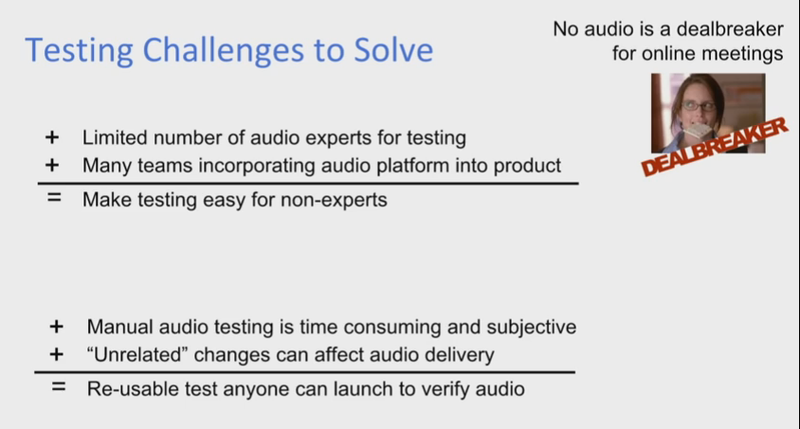 Many challenges we need to face with audio tests: We have limited number of audio test experts, manual audio tests are cost, some scenarios are hard to manual simulate. Always improve the quality of the sound that you are receiving and sending. 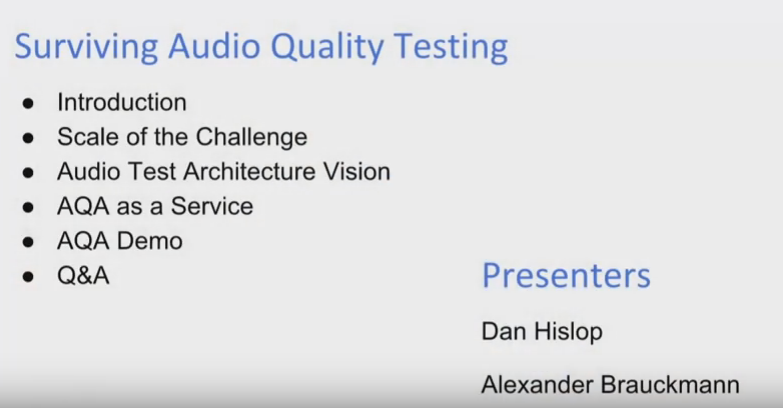 You can live with poor video quality, but you can’t with a poor sound quality. If you miss a key word, you will not understand the context. 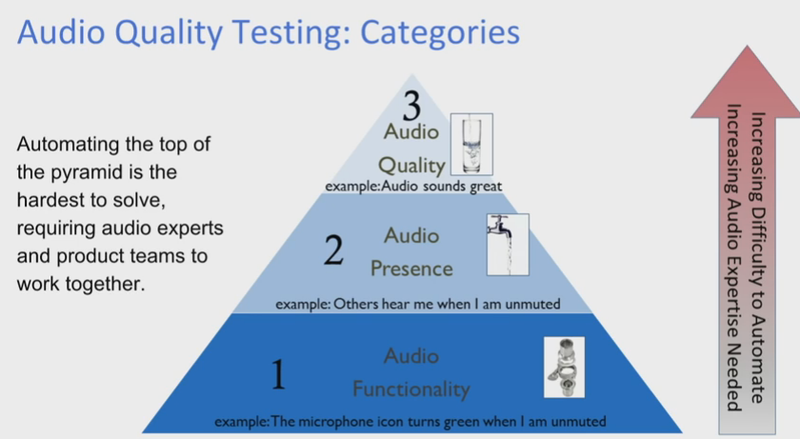 The Audio Test Pyramid shows what you need to start testing. Following this, first test if you are able to receive the audio (Pipes are connected), then check if you are receiving the audio (Water is flowing through the pipes) and the last step is test the quality of the sound (If you can drink this water). 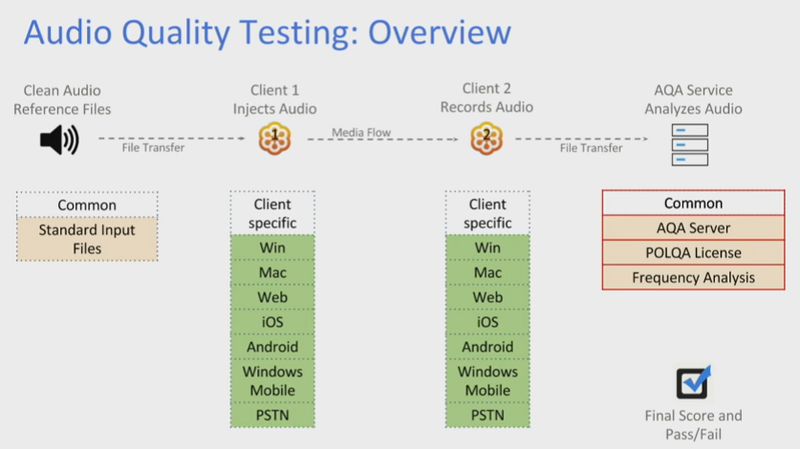 This is how to improve the quality of the audio automation, sharing the common libraries for the client teams, so they are able to test different scenarios. 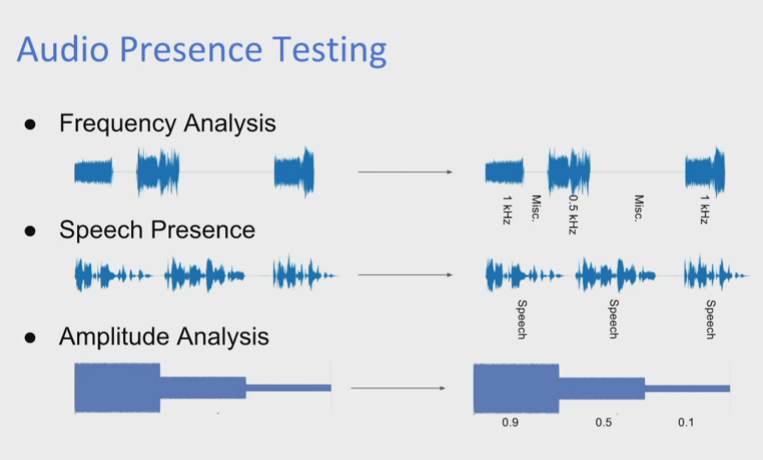 Here you have all the key components: You have the audio data, which will be injected into the first client. Then, you have the second client which will capture the audio from the first client and compare the sound quality between the input and the output. 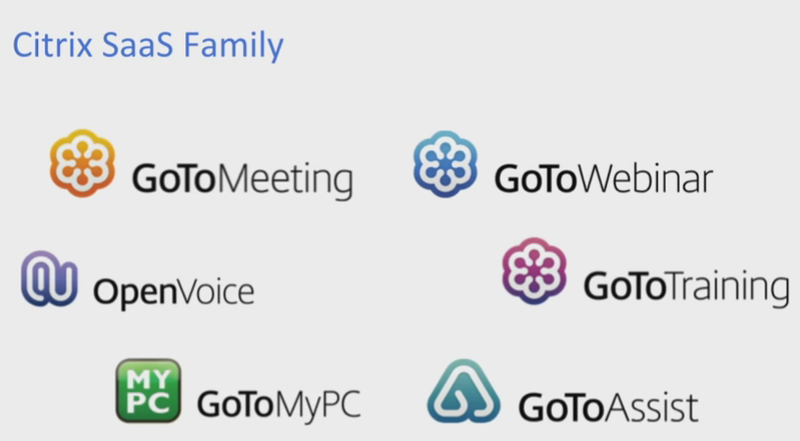 Here you can see all the various platforms you need to test the clients. The input and the output are commons, but the transition of one client to another will make sure the audio is stable on different environments. The client upload the audio files to the service and in the end fetch the quality results. Depending of the MOS score, you are able to confirm the quality of the audio. This score compares the sent and the received audio. 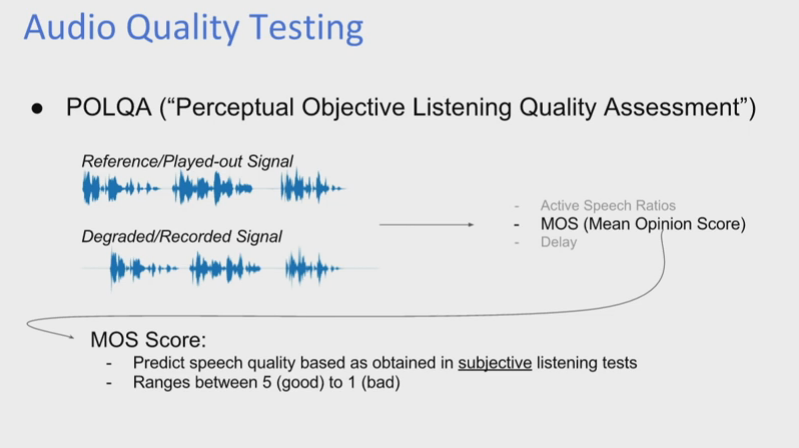 Type of the audio tests you can perform: Frequency Analysis, Speech Presence and Amplitude Analysis with different types of voices, will give you more confidence that the audio works with various voices (kid, adult, women, men, etc). Thank you GTAC 2016 and Citrix professionals for sharing this ! Hey guys, in this article I will not talk about automation tools or automation frameworks, but I will talk about how to set the strategy and choose the key scenarios and priorities to build your automation strategy. Who is most interested to have automation tests running ? Quality Assurance team. Why ? Because the regression tests that are always performed by the QA engineers will now be performed by automated scripts. 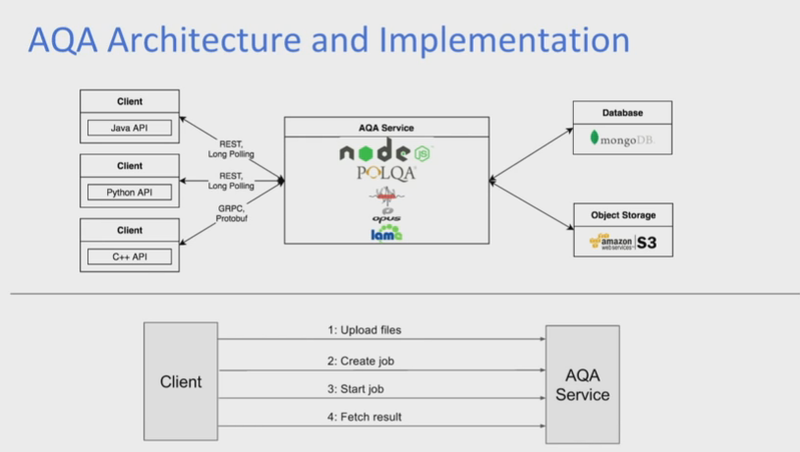 They use the automation to run detailed, repetitive, and data-intensive tests automatically. It helps to improve software quality and make the most of their always-limited testing resources. Automated testing will shorten your development cycles, avoid repetitive tasks and help improve software quality. Why should we implement an automation test project ? What determines the success of your automation ? “Are you able to generate a better ROI (Return on Investment) in comparison to the manual route”? – If not immediately, eventually. Add repetitive tests that run for multiple builds. Add tests that tend to cause human error. Add tests that require multiple data sets. Add frequently used functionality that introduces high risk conditions. Add tests that are impossible to perform manually. Add tests that run on several different hardware or software platforms and configurations. 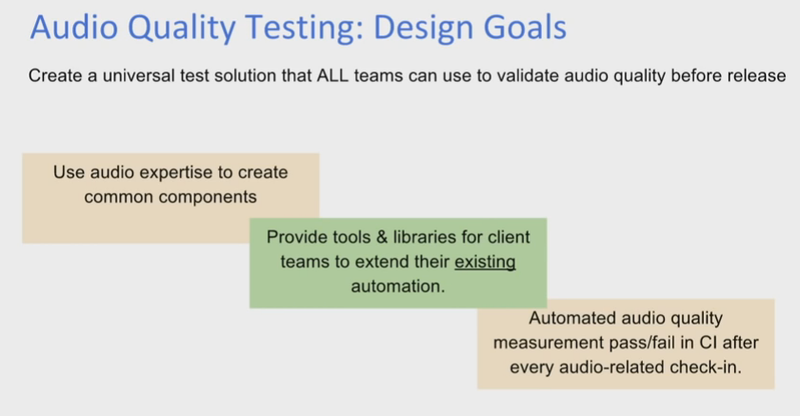 Add tests that take a lot of effort and time when manual testing. Divide your projects in phases and prioritise them.